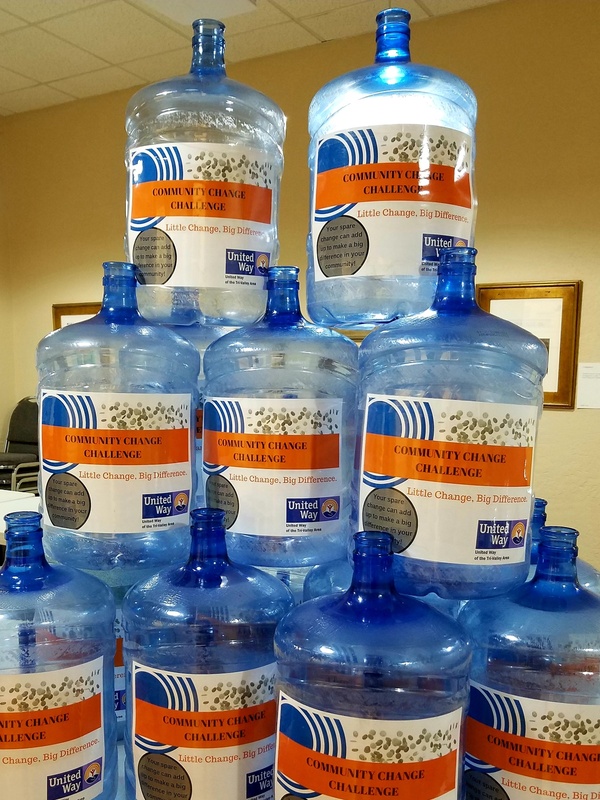 Jugs to collect change, ready to be distributed throughout the community. It’s that time of year again! The third annual change challenge kicked off Feb. 1 and will extend the entire month. Remember that a little bit adds up and can go a long way in benefiting our community. Last year this Change Challenge raised over $6,400. It just goes to show that a little ‘change’ can make a BIG difference. The winning organization in each tier will receive a trophy as well as the option to designate 25 percent of the raised funds to a United Way Partner of their choice. All of the money raised will be reinvested into our community.